WE DID IT!!! 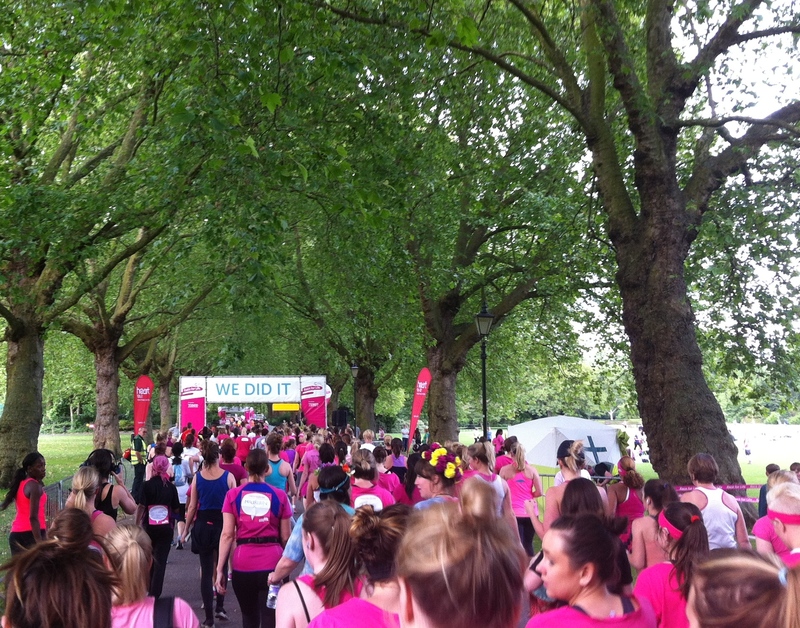 My friend and I successfully ran the Race for Life yesterday evening in Battersea Park. It was such a great event with an amazing atmosphere – over 3000 people had signed up to run, jog or walk the distance :-). Moving on to today’s recipe – recently I have started taking one ingredient and basing an entire menu around it. Today’s choice: Polenta. 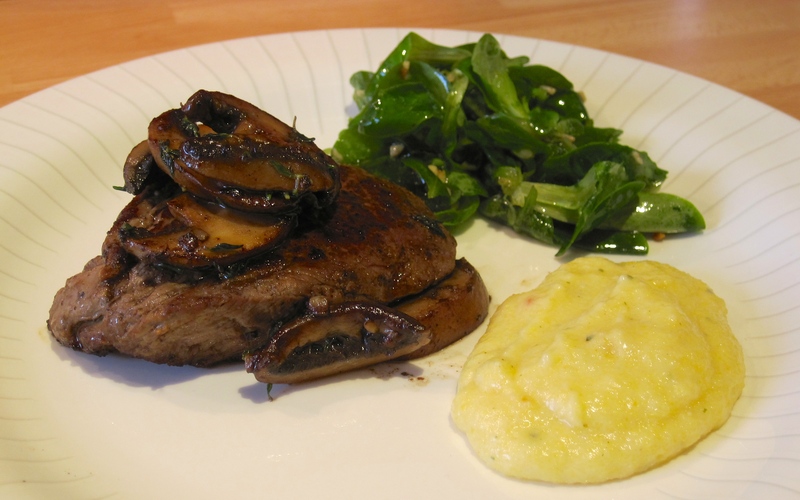 Polenta is great in cakes and breads (nothing beats chilli with cornbread) but also makes a great side to mushroomy dishes. It reminds me of my childhood holidays in the warm italian part of southern Switzerland. The reason behind my choice of polenta is a recent dinner invitation. They served a delicious polenta/lemon/almond cake for dessert. I had two helpings (despite a starter, a main and an exploding food belly). The minute I got home I tried to find a similar recipe, determined to re-create this heavenly lemony dessert. I don’t know if it’s exactly the same recipe, but it sure tasted just as good :-). The strawberry coulis is an addition of mine, I felt the dish needed some fresh fruity sauce to round it off.